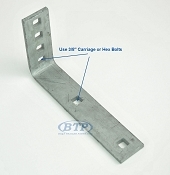 These Boat Trailer Fender mounting brackets come in a variety of sizes and mounting applications. Each listing has detailed measurements with links to mounting hardware to help you select the correct fender mounting bracket. We have Fender brackets that work for both single axle boat trailer fenders and tandem axle boat trailer fenders. 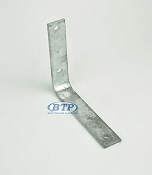 these Fender Brackets are not necessarily specific to certain brands of trailers or types of fenders. When replacing brackets and fenders, in some cases you will find exact replacements. When exact replacements can't be found, use the measurements provided to select the correct replacement. these are all Bolt On style Fender Brackets, using 3/8" x 1 1/4" bolts in most cases for mounting. 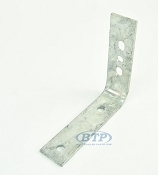 All of these Fender Brackets are made with materials specifically intended to be corrosion resistant. If your Fender Brackets are damaged or rusted, you will find correct replacements in this category to get your trailer back up and running.